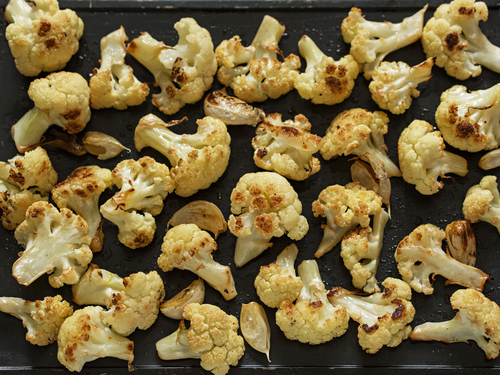 On large rimmed baking sheet, toss cauliflower florets with olive oil, Parmesan cheese, garlic powder, turmeric and salt. Roast in 475°F oven 25 to 30 minutes or until browned and tender. Serve immediately.